Budget carrier GoAir is looking for an increase in flying rights to Thailand amid growing air passenger traffic, according to a senior airline official. 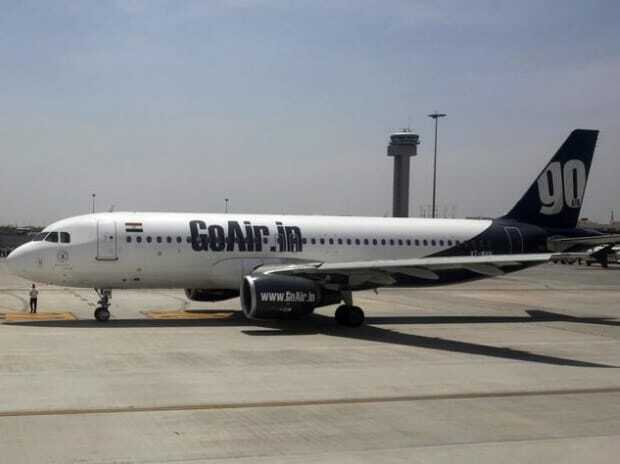 GoAir Vice-President (International) Arjun Dasgupta said the airline wants to launch flights from seven more Indian cities, including Chandigarh and Lucknow, to Phuket. Currently, it has direct flights to Phuket from Delhi, Mumbai and Bangalore. Dasgupta said the government should consider increasing flying rights to Thailand in view of growing passenger traffic between India and Thailand. "The airlines of both the countries have almost exhausted their seat quotas and we are pushing for an increase in flight rights," he said here. Bilateral flying rights refer to an agreement between two countries that allows each other's airlines to operate services with a specific number of seats. Interacting with journalists on the sidelines of Thailand Yacht Show at Royal Phuket Marina (RPM) last week, he said the airline would also start services to Bangkok as Thailand is a big part of its international expansion plans. Explaining the rationale behind starting more flights to Phuket, GoAir Managing Director Jeh Wadia said the city offers huge opportunities for wedding planners, boating enthusiasts and vacation home buyers due to its attractive locations and good weather. By end of this year, Phuket would become the number one international destination for Indians, Wadia said. Royal Phuket Marina Chairman Gulu Lalvani said the partnership was a win-win for GoAir and RPM. Last month, Thailand's Ambassador to India Chutintorn Gongsakdi said that the rise of India would help in opening up new flights and connections. As many as 1.7 million tourists from India are expected to visit Thailand this year and rise to 2 million by 2020. A total of 10 million tourists are expected by 2030, he had said.